I wanted to share this super useful chart with you. If you’re like me, then the ultrasound technician’s “Your baby looks good” is far from enough for you. And if you’re like most pregnant women, you might have wondered what those funky numbers on the ultrasound pictures stand for. AC means abdominal circumference. Basically your baby‘s belly. It can indicate growth restrictions, or the opposite gestational diabetes problems and a large baby. BPD is bi-parietal diameter, which is your baby head size. FL is femur length, the length of the largest bone in our bodies. It can predict your baby‘s height and also possibly show growth restrictions by comparing it to AC. AFI is the Amniotic fluid index, and shows how much water you have. A good thing to measure half way through the pregnancy to show any problems, and pretty important towards the end. A normal AFI amount can also show proper liver function in the baby. A good number would be around 12, with normal range being between 8-18. CRL– crown to rump length. This measurement is seen in the beginning of pregnancy, where the baby can’t be measured head to toe. So this awesome website I found actually lets you plug those numbers in and give you a percentile that your baby is measuring in, much like what the doctor will give you when you take your baby for its check-ups after birth. What’s considered normal is a fetus between 10th and 90th percentile. And of course, a disclosure: I am not a medical professional, I am not here to give any type of advice. This is posted purely for personal use, derived from personal research of available online resource and could be inaccurate or misleading. I’ll just have to come back and read all this when the time comes. You’re going to be one of my top resources. 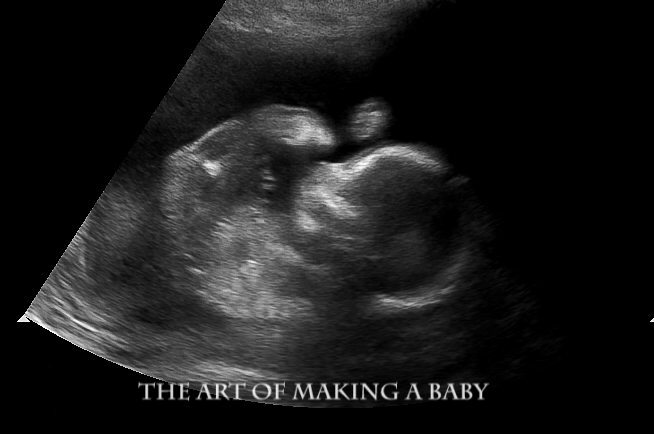 Whenever I see those ultrasound pictures it seems so incredible to me – you are making a whole new life! So incredible! it blows my mind too! Espeically now, when she’s kicking and looks more like a newborn.